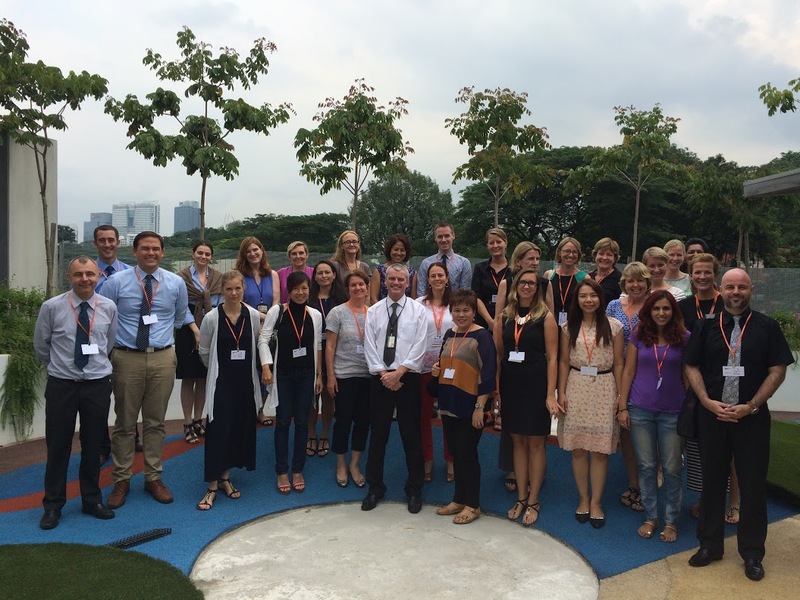 Shrewsbury Represented at EAL JAWs (KL) 2015! Earlier this month, 6 of the EAL Team went across to Malaysia for the annual EAL JAWs conference. It was great to connect again with colleagues in the region and find out what they are doing and how they are doing it! Two of our Senior Team, Jon Bifield and Lee McKernan, presented the ‘Genre Map Assessment Framework’, which is a student self-assessment framework that is currently used in History and in English Plus (Year 9) and will be rolled out across more departments in due course. (See an earlier post for more details.) They did a great job and, needless to say, the presentation went down very well. Thanks to both of them for representing the team and the school! What’s in store for next year, I wonder? In Year 7 English Plus, we have been looking at ways to develop our vocabulary. One activity that I chose to do with the students was to use QR codes to aid the development of the learning of vocabulary. I like the idea of using QR codes because as a student scans the QR code there is a level of anticipation at what the QR code will actually say or where the QR code will take them. 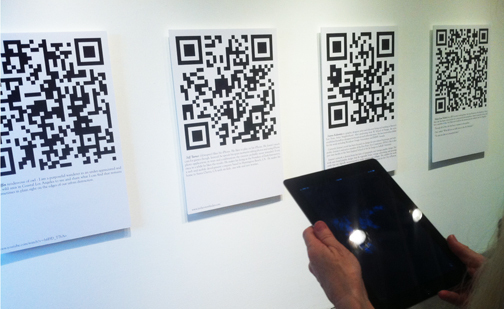 For instance, the QR code could display a word, a picture, or it could be a link to a website. As well as this, I believe that QR codes can add to the level of excitement that students will get from doing an activity. QR codes are very easy to produce and can save time, as rather than typing in a long URL address students can just scan the QR code. Students had been learning language through the theme of magic. So, this QR code lesson was a revision of the vocabulary that had been taught and used in the classroom. In all, the students had to find 4 QR codes that were hidden around the school and complete the 4 Corners vocabulary sheet for each word. I really liked the way that this activity worked. Of course, there is no one single best way to learn vocabulary, so a mixture of strategies is recommended; however, I do like the idea of using QR codes to help students learn and revise new vocabulary that they encounter in their classrooms—and they seemed to like it, too! 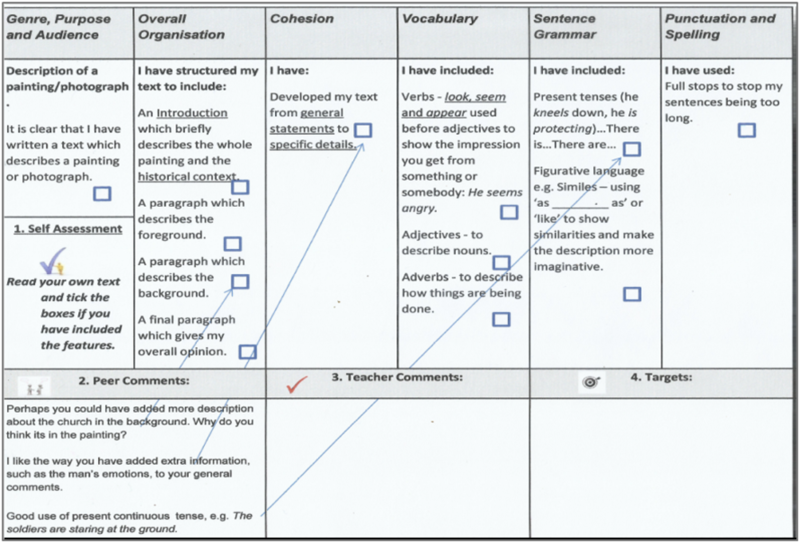 During the past couple of years we have been developing a new assessment framework – The Genre-Map Assessment – which explicitly promotes teacher and student engagement with key language features across a range of school-based, academic writing genres. This framework has been successfully implemented within the Year 9 English Plus Programme and is also being used in collaboration with the History Department in Key Stage 3 mainstream classes. One important aspect of the Genre Map Assessment is that it strongly encourages teachers to backwards plan from a final assessment task. One of the most efficient and thorough ways this reverse planning can be achieved is through the writing of a model text. This allows teachers to experience the full process of text construction which is expected of the students. It also ensures that salient language features within a particular genre are clearly identified and integrated into the curriculum unit of work which leads up to the final task. Perhaps more importantly, it offers our students access to the notion of how language actually works to make meaning in context, as well as developing a shared meta-language (the language to talk about language), based on crucial elements, such as overall organisation, cohesion and sentence grammar. Students are therefore able to discuss successes and areas for development in their own, and their peers, academic writing with more confidence and precision. The Genre-Map Assessment was originally based upon Professor Pauline Gibbon’s Question Framework for Assessing Writing (Gibbons, 2009). It was a privilege, therefore, to present and discuss the adapted framework with her during her recent consultation visit to Shrewsbury. 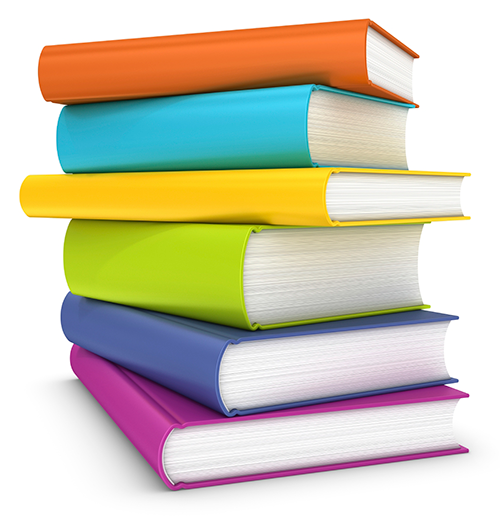 – the subject specific vocabulary to represent key concepts. Teachers need to model, talk about and co-construct each new genre before students are expected to write it by themselves. This kind of explicit teaching occurs before students write: scaffolding prepares rather than repairs. This is essential for all students, but is especially important for English language learners, who are writing in a language in which they do not yet have full proficiency. Once students are able to write a particular type of text alone, Lee’s material provides an excellent framework that will help to remind them about how a text needs to be written as they are writing it. 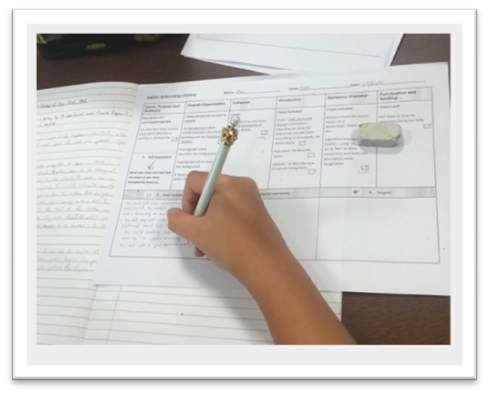 In addition, after the writing is completed, it can be used as a framework for student self-assessment or peer assessment. An example of a group task to decide on the most helpful peer comments related to the assessed task. 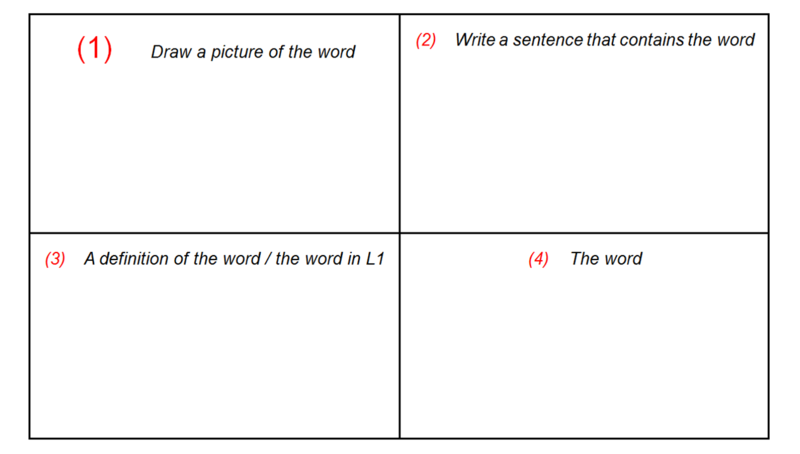 I also see an important use for the framework in helping students to focus on sentence-based aspects of writing, i.e. aspects of traditional ‘grammar’ such as tense, subject-verb agreement, word order etc. (see the sorts of questions under Sentence Grammar in the frameworks). Many language learners, even when they reach high levels of fluency, (and to the ongoing frustration of their teachers!) continue to make basic and repetitive errors, especially when they write. These are the sorts of errors students are usually well able to correct for themselves once they are pointed out. However, such grammar knowledge often remains ‘inert’ in the brain until and unless it is employed by learners in real contexts of use. 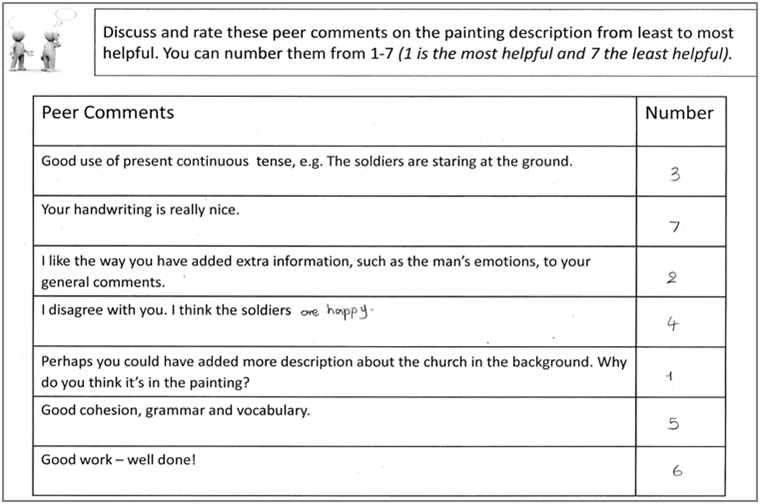 A presentation slide which indicates how the most helpful comments from the previous activity relate directly to the assessment criteria. 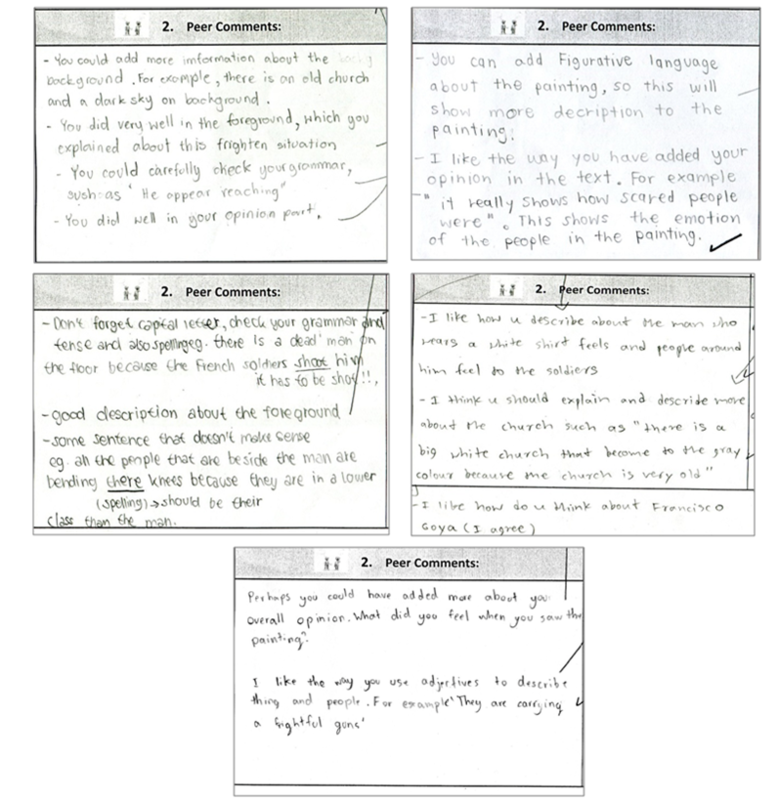 Examples of completed second drafts written by English Plus students after focused feedback. The texts include key language features outlined in the Genre Map. Last week, Professor Pauline Gibbons visited the school for the third time, this year working with Senior School departments on how to develop spoken literacy in the classroom. Pauline enjoyed visiting a variety of Senior School classrooms and talking to a wide range of teacher during department-based workshops. She was very impressed by the depth of knowledge that many teachers already had with regards to EAL issues and strategies, and was quick to comment, on several occasions, how it was a pleasure for her to work with such a ‘high end’ staff (her words, not mine! )—coming from such a well-known and respected academic, this is quite a compliment! Pauline was kind enough to leave us with a copy of her latest book, which can be found here: http://www.heinemann.com/products/E05664.aspx. It can also be found in the EAL department! Below is a link to an interesting video, on YouTube, by Chris Lonsdale & Associates. 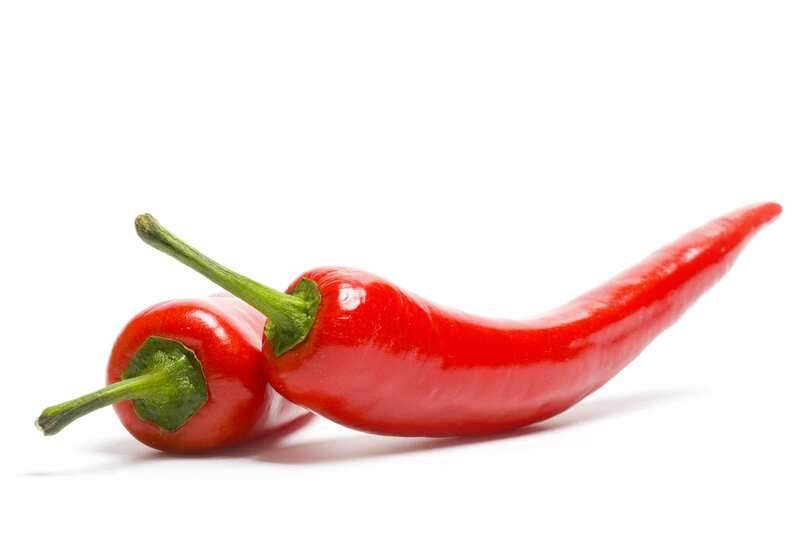 In it, Chris explains ‘how to learn any language in six months’. Of course, this statement needs to be unpacked before we can understand what is meant by the word ‘learned’–for example, we know that developing BICS in a language is relatively easy but that academic language, CALP, is much more difficult to develop etc. etc. Anyhow, this is not the place for a full discussion of the content of the video; rather, I’ll let you watch it and make your own decisions about whether you agree with Chris on this rather contentious claim! Kahoot! A formative assessment tool. Kahoot! 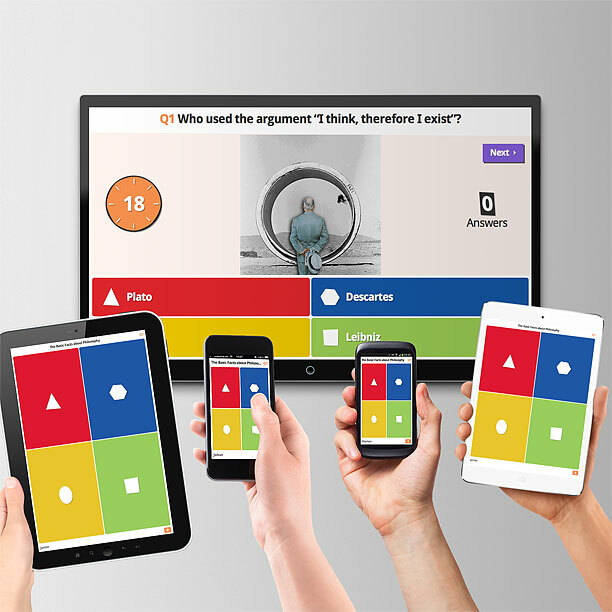 is an online quiz game using iPads, in which students race against each other to answer questions; the results can be immediately summarised on the computer/projector. The interactive format creates an exciting and action-packed atmosphere! Kahoot! has been used widely among EAL Specialists in this school, and in mainstream classrooms where we co-teach. Kahoot! helps create competitive and dynamic lessons and is often ideal for a starter or a plenary due to the fact that it can be so easily adapted to suit a range of curriculum areas, abilities and language proficiencies. You can prepare your own quizzes, or can choose from a huge range of quizzes created by members of the Kahoot community. Simply go to https://create.kahoot.it and sign up for free, then start creating your own Kahoots! Find Something Out About. . . The students have been learning about elements, so the activity was designed in order to find out as much as they could about different elements from the Periodic Table. To begin with, learners were asked to find the meanings of some key (‘obligatory’) vocabulary, which would help them to access the activity. 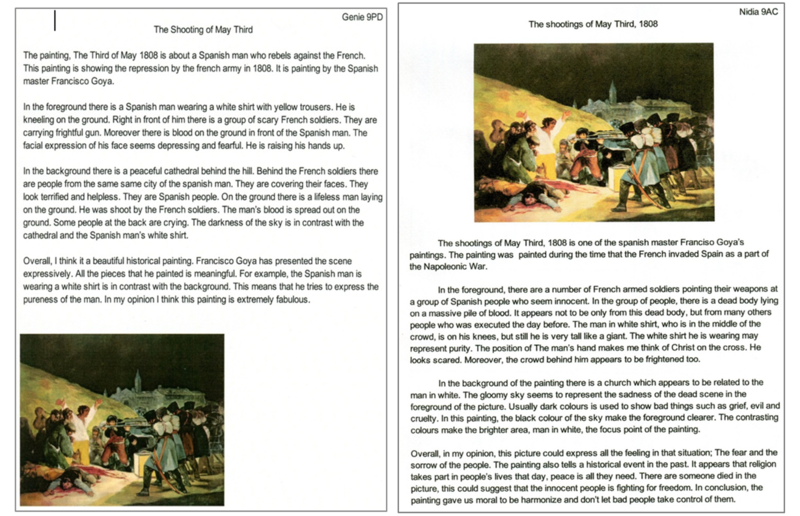 After that, they were given their information card, which contained information about their element; some quick recap work in relation to question forms followed – the aim being to remind students of the types of questions (and their grammatical forms) required to elicit the information they needed to complete the activity. The questions were then written on the board as a scaffold. Next, students were given their ‘find something out about…’ sheet, which contained the names of 12 elements. After students had read all of their elements, they then had to walk around the room and find the person who had each element information card; they then had to ask questions to find out something about the element. After the learners had made notes of the information provided, they moved on to the next person. To finish, learners were picked at random to tell the class what they had found out about one of the elements on their sheet. From an EAL perspective this sort of information gap / communication activity is a great way for learners to use the language of science and practise using it in a safe environment with their peers. It is also a good example of a scaffolded activity, and one which requires a lot of meaningful talk. Term 2 started with a flurry of activity as usual—and things got even busier with the introduction of the SIOP course for 50 participants! This year’s 50-person cohort was comprised of all new teaching staff plus some existing staff who were looking to enrich their understanding of issues regarding EAL in the mainstream as well as enhance their practice. 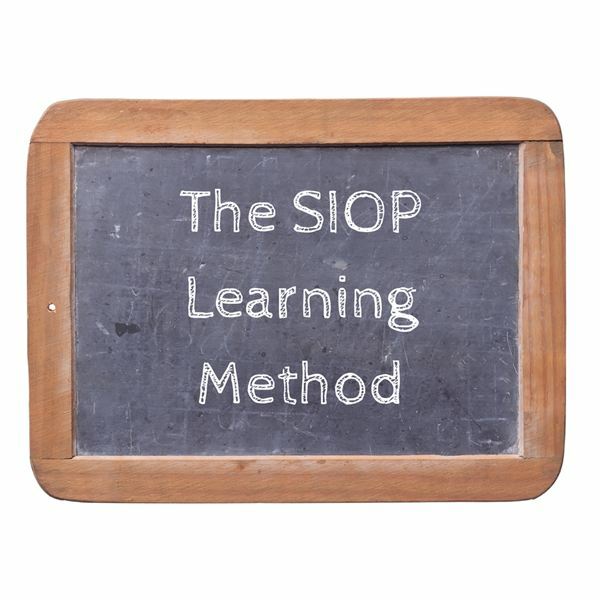 This SIOP course is part of a larger network of TESOL (Teaching English to Speakers of Other Languages) training opportunities that the school continues to offer. There have already been several EAL INSET sessions this academic year and there are many more to follow; for example, directly after the SIOP course has finished in February, colleagues will be invited to attend regular EAL INSET sessions which seek to complement the SIOP theoretical framework; also, Professor Pauline Gibbons—a very well known specialist in EAL who visited the school last year— will be visiting in March. I would like to take this opportunity to say thank you to all involved in this round of SIOP training. I hope that it helps to illuminate fully some of the most significant reasons why training of this type is so crucial for teachers teaching in this type of setting—and I look forward to seeing some of the elements of the SIOP model being utilised in the classrooms! The purpose of this blog post is to share with you some of our recent successes with helping to make reading a more fun activity for students in Year 9 English. We found that this version of reciprocal reading was a good way to motivate students to read because each student had an assigned role. We wanted to spice up our reading sessions, as too often students would find it boring when the same person reads long passages with little interaction. Likewise, everyone just reading alone wastes opportunities for engagement and discussion. First of all, we put students into groups of three and each student in turn would read a few pages aloud, while the other two listened and followed the text. We found that smaller groups work well if students are less confident with their pronunciation; also smaller groups are friendly enough to allow students to step outside their comfort zone when they encounter unfamiliar vocabulary. When using this model, teachers can circulate easily throughout the class and monitor the students; at appropriate points, they can assist with comprehension—students are often more willing to ask for help when in smaller groups—or help with pronunciation etc. In total, we advise that the reading time should be 10-15 minutes. Next, as each group finishes, they call the teacher who then gives them a set of three to four open “who, what, why, and how” comprehension questions. The group works together to agree on their answers. Groups that work through this quickly can then start on the next round of reading the text while a teacher checks their answers. We found that this short cycle of reading and answering created a lot of energy in the group and also built up a competitive atmosphere between the groups, making progress quickly! Co-teaching: how do we know when we are doing it right? Following on from our recent INSED training on aspects of co-teaching in mainstream subjects at Shrewsbury, Chris Davison (2006) (Davison 2006 -How do we know partnership teaching) provides further insight into the, often challenging but ultimately rewarding, process of ensuring effective partnerships in the classroom and beyond. Davison states that though there have been studies over the years into methods, techniques and linguistic demands related to content areas, it is only very recently that research into ‘the process of co-planning and co-teaching and to supporting and evaluating the development of language and subject partnerships’ has been undertaken. Data within her study draws on discourse analysis from interviews and questionnaires completed by teachers from a large, linguistically-diverse international school in Asia. She offers criteria for a framework comprising five development stages in order to evaluate the effectiveness of partnership teaching and consider areas for professional development and institutional change based on characteristics of teachers’ attitude, effort, achievements and expectations of support. 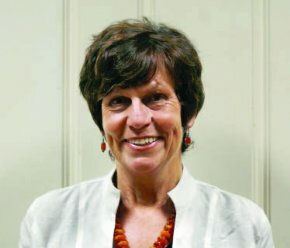 It is interesting to highlight that in the course of her study she discovered, ‘distinct stages from survival self-concerns where teachers found it difficult to adapt to change, to gradual awareness of a positive impact on students, to a readiness to respond to feedback on teaching’ and ‘a clear move from teacher emphasis on relatively superficial strategies to a concern with curriculum’. 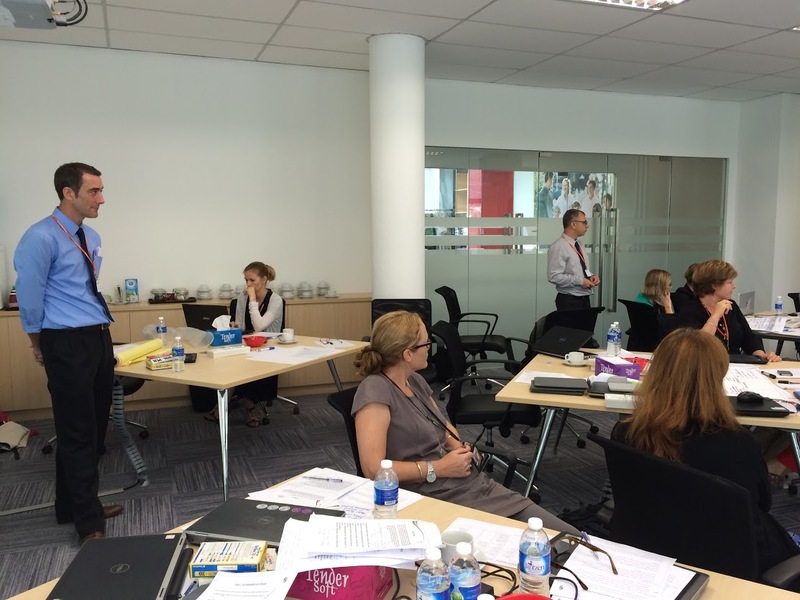 Though there are inevitable differences between Shrewsbury and the international school which is central to Davison’s study, the general principles of evaluating collaboration with a view to development are inextricably related. It therefore provides a useful reference point to analyze the current effectiveness of partnerships within our own environment.